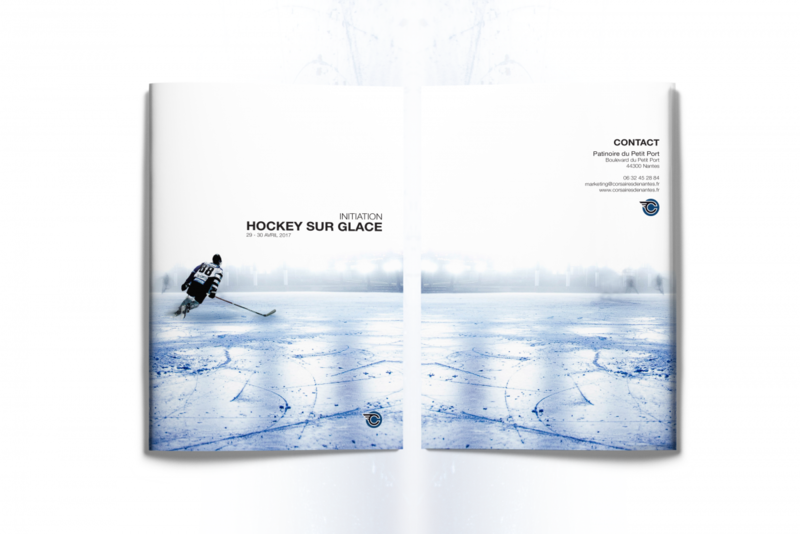 In the framework of a Graphic project, I had the opportunity to work in collaboration with Les Corsaires de Nantes, the Ice Hockey team from Nantes. The photographic shooting I have made during their training sessions allows me to create this brochure. The main atmosphere I wanted to share through this was something poetic rather than aggressive, which is more often perceived about this sport.